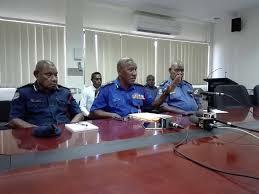 POLICE Commissioner Gari Baki says a special investigation team will be formed in NCD soon with the primary objective of detecting and prosecuting members of the Constabulary who are involved in corrupt practices. This is part of the Constabulary’s bid to clean-up the city in preparations for the 2018 APEC Leaders’ Summit in November. Selected members of the Constabulary with good standing and character would be randomly selected from the Internal Affairs Directorate, Mobile Squads and Criminal Investigation Division to form this special Investigation team. He said this after detectives investigating a passport and visa scam arrested a policeman yesterday for allegedly receiving K50,000 from an Asian suspect. Members of Gordon Minor Crimes and some Mobile Squad personnel went to Boera village on the outskirts of Port Moresby and arrested a policeman identified as Detective Sergeant Stanley Japele after he absconded from his workplace at Police Headquarters. Japele and another policeman identified as Paul Bari were alleged to have received K50,000 from Aaron Cui, the Chinese national implicated in this scandal. Japele and Bari were named when the OIC of Gordon Minor Crimes Senior Sergeant Apollos Terry arrested a Central man named as Onne Bani who allegedly gave him K100,000 in cash and requested for him to drop charges against the Chinese national. According to police records, Cui initially allegedly bribed Senior Sergeant Terry with K10,000 in cash after police raided a property at Kennedy estate and recovered computers, stamps, foreign passports and visas and K149,000 in cash. Cui and a reserve policeman were arrested for their part in the K10,000 bribery case but several days later, Bani allegedly went to Sergeant Terry’s residence and delivered K100,000 in cash and requested for him to drop the charges against Cui. Commissioner Baki was immediately notified when this transaction occurred on a Saturday but due to the magnitude and sensitivity of this case Mr Baki specifically instructed the Detectives to collate more evidence and effect arrest on the following Monday. During the police investigations Bani told police that K50,000 in cash allegedly to free Aaron Cui. Bari was arrested and K6,650 in cash was recovered from him, while Japele absconded from duties for over six weeks until he was arrested yesterday at Roku village. Commissioner Baki said the Gordon Minor Crimes Unit under the Command of Senior Sergeant Apollos Terry were now acting on his instructions to clamp down on police corruption in NCD. He said the team arrested a policeman and recovered a military issued high powered Carbine rifle with three magazines containing 180 rounds of ammunition on August 16, after receiving a tip off on a proposed gun sale. The suspect Ravu Pala a male adult of Hula Central province was charged for being in possession of an unlicensed firearm and ammunition and defacing the serial number of a firearm under the Firearms Act. Commissioner Baki said over the past 12 months the team has successfully arrested, prosecuted and convicted four policemen to various prison terms ranging from 2 to 7 years. He said these convicted felons were arrested and charged for various offences ranging from grievous bodily harm, official corruption, indecent assault and aiding a prisoner to escape from lawful custody. The Commissioner said the success of the Gordon Minor Crimes unit is highly commendable, and as such, they would become an integral part of this special investigation team. The Commissioner said the allegations of police brutality and corrupt practices within the Constabulary is becoming increasingly evident and prevalent now with the availability of social media, much to a point where tougher action is required to minimize such abuses.